The fruits and milkshakes have always delighted me. But what I was looking for, was some smoothie shakes which can actually reduce my weight and burn fats. 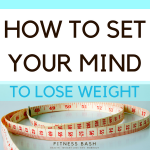 There are several weight loss smoothies which can actually burn the fat but what you need to care about is most of the smoothies perform well when taken as meal replacements. Let’s check out the list. This is gonna look lovely and taste like nuts, with the hemp seeds as the toppings. 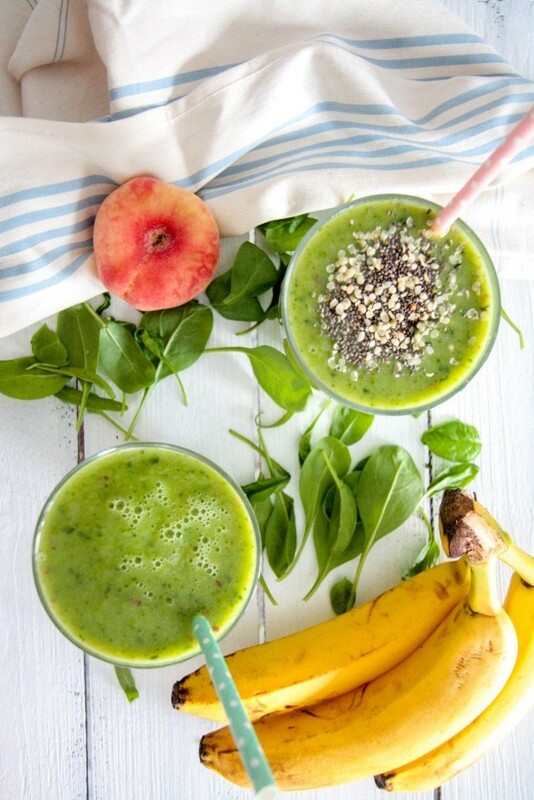 Ingredients: Peach, banana, honey, avocado, cucumber, baby spinach, mint leaves, coconut water, hemp seeds. The measurement and recipe are here. 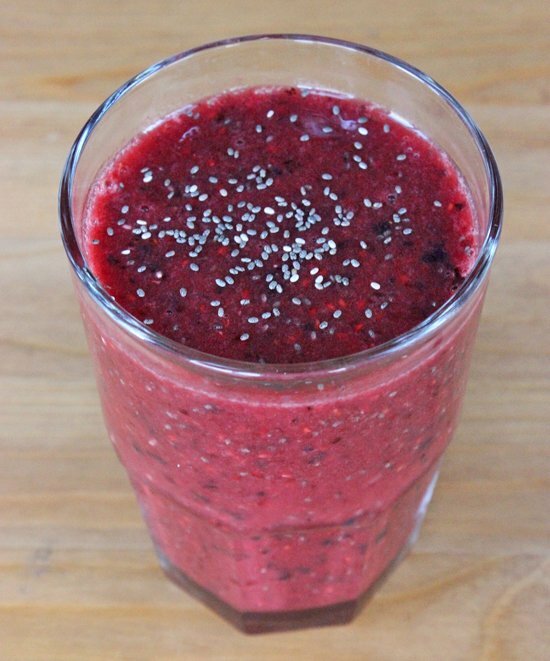 This smoothie is packed with antioxidants, calcium, potassium, and protein. So who is gonna miss this? Ingredient: Milk, low-fat yogurt, banana, frozen mulberries, spinach, flax seed, honey, vanilla extract. The recipe measurement is here. 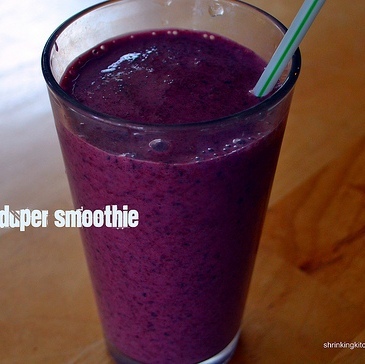 A nutrient-packed smoothie which will be great after a workout. 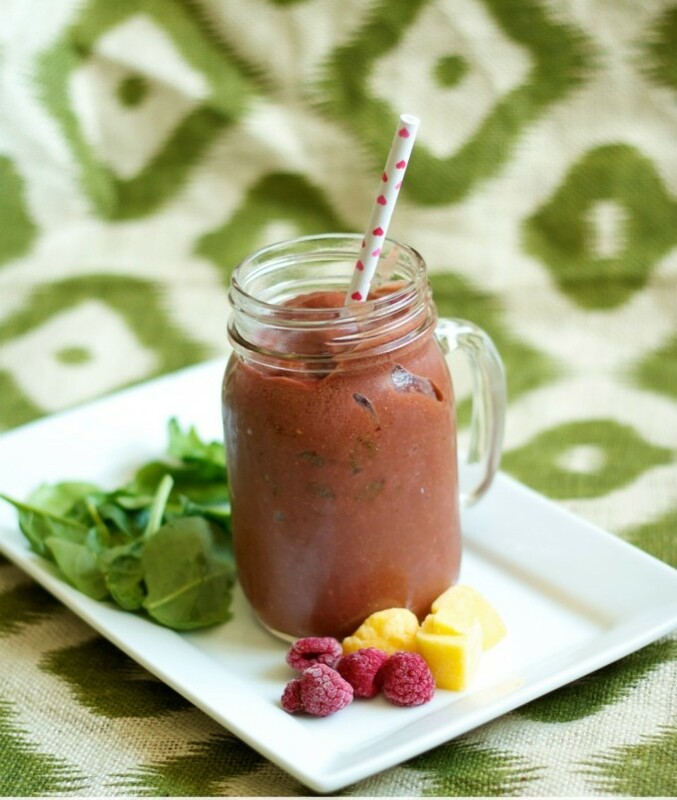 Ingredients: Apple juice, raspberry, mango chunks, spinach, chia seeds. This is a metabolism boosting smoothie which will also aid in muscle building and digestion along with weight loss. Ingredients: Dragon fruit, mango, banana, coconut oil, maple syrup. 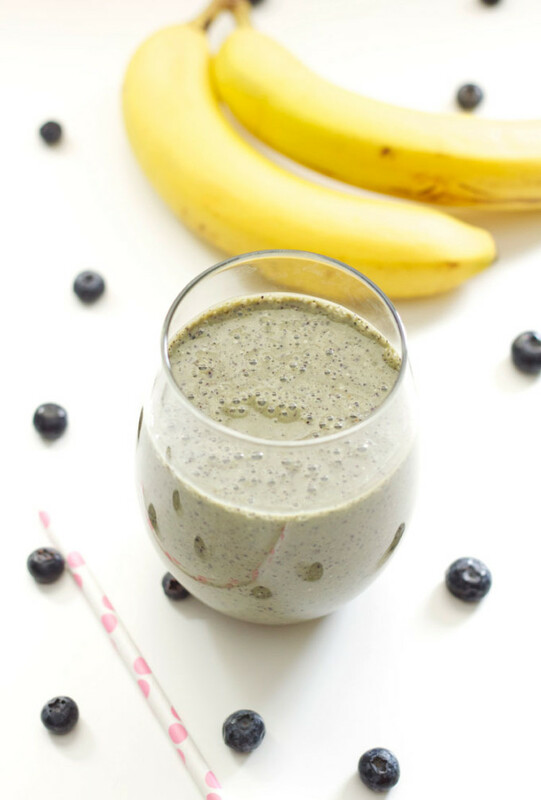 This smoothie will definitely make you feel motivated towards a healthy lifestyle. 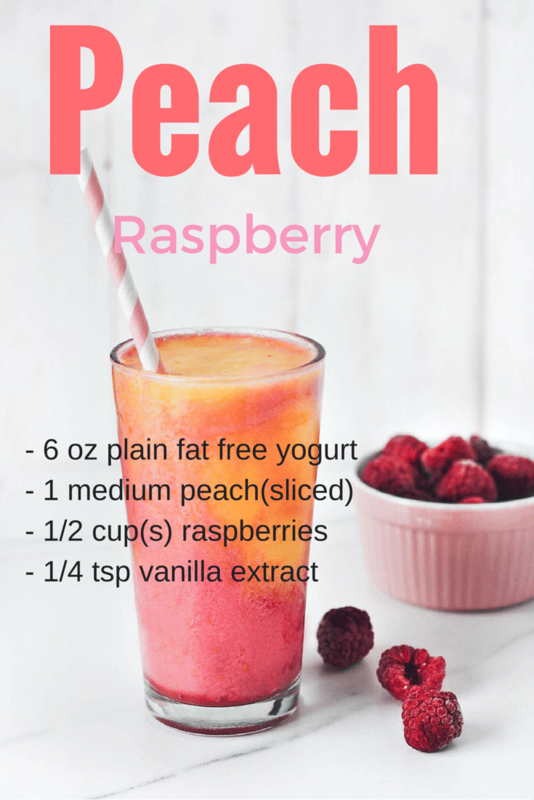 Ingredients: Fat-free yogurt, peach, raspberries, vanilla extract. 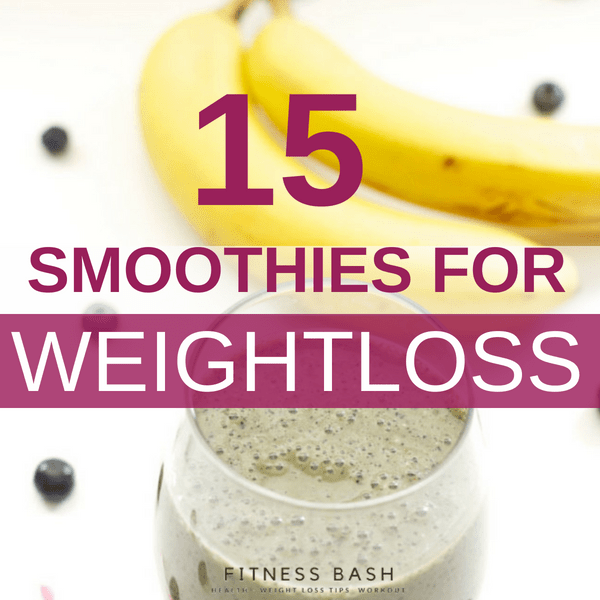 This smoothie is said to be for extreme weight loss. This is more of a meal replacement. 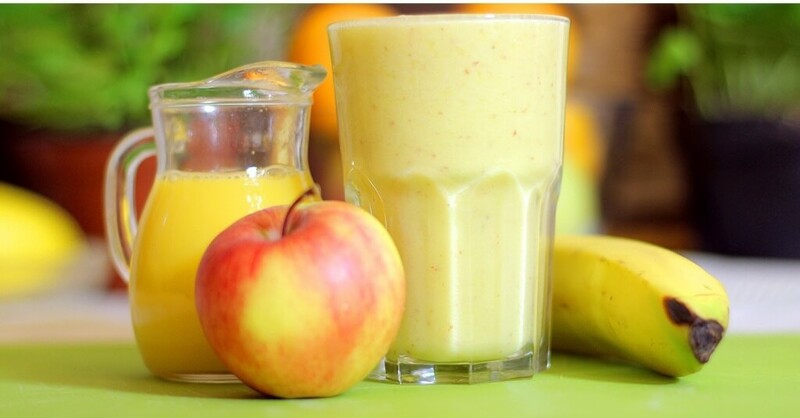 Ingredients: Banana, orange, apple, fresh lemon juice. Check out the procedure here. 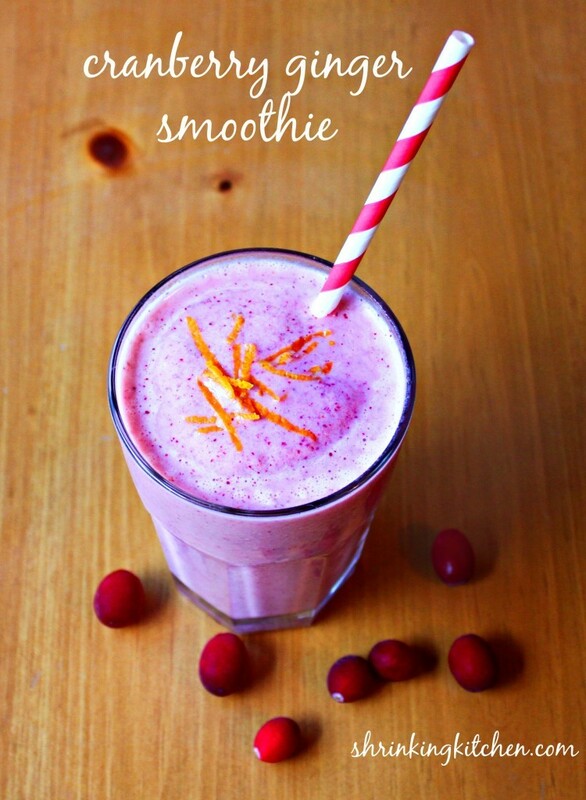 This is a very pretty smoothie for a weight loss. You will just fall in love with the color. In addition, raspberry boosts metabolism. 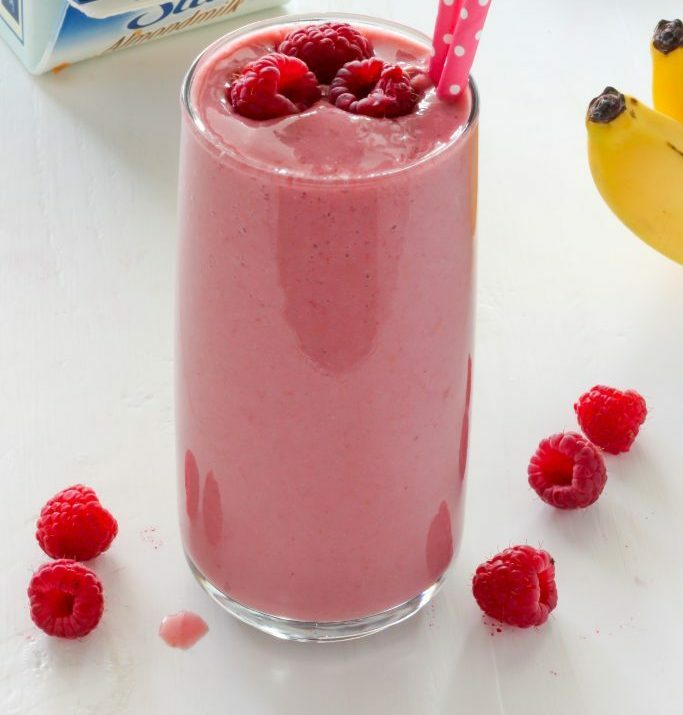 Ingredients: Bananas, raspberries, almond milk, orange juice, honey. 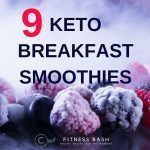 This gonna be a perfectly sweet and ultra thick smoothie as if you are enjoying a blueberry muffin. 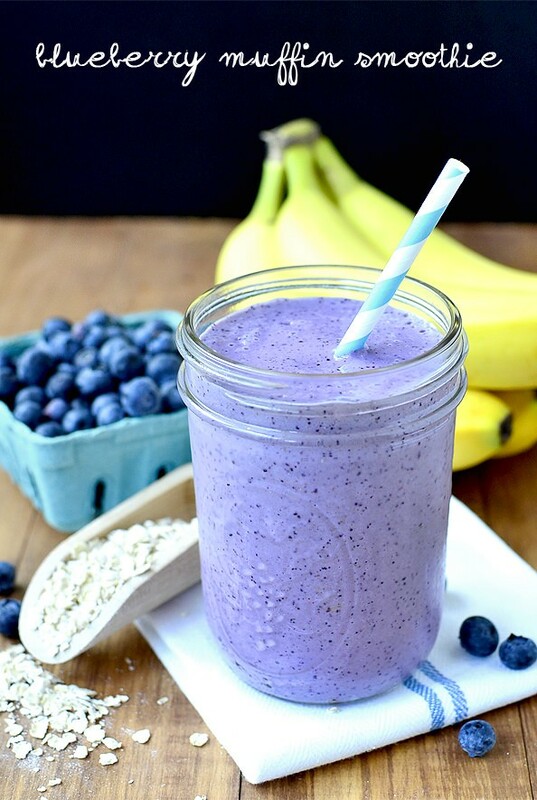 Ingredients: Milk, Greek yogurt, frozen blueberries, banana, gluten-free oats, lemon and ice cubes. 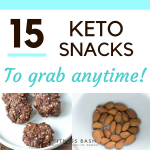 The delicious recipe is here. I am not a very big fan of the mango banana mixture. But, this particular gluten-free smoothie provides some healthy fats with some tangy taste which I like. 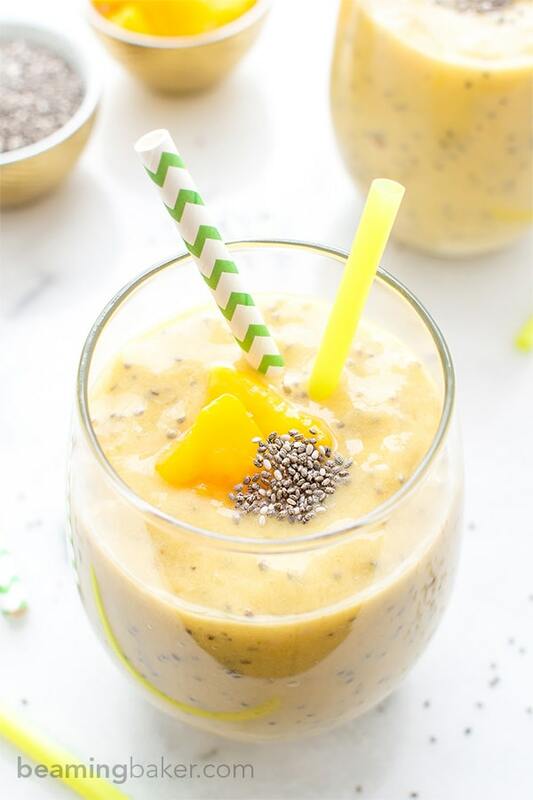 Ingredients used: Chia seeds, mango chunks, banana, almond milk. This meal replacement can be your go-to smoothie at any time. The fresh ginger and a bit of nut surely going to add taste to it. Ingredients used: Banana, carrot, almond milk, yogurt, cinnamon, ginger, nutmeg, toasted walnuts. 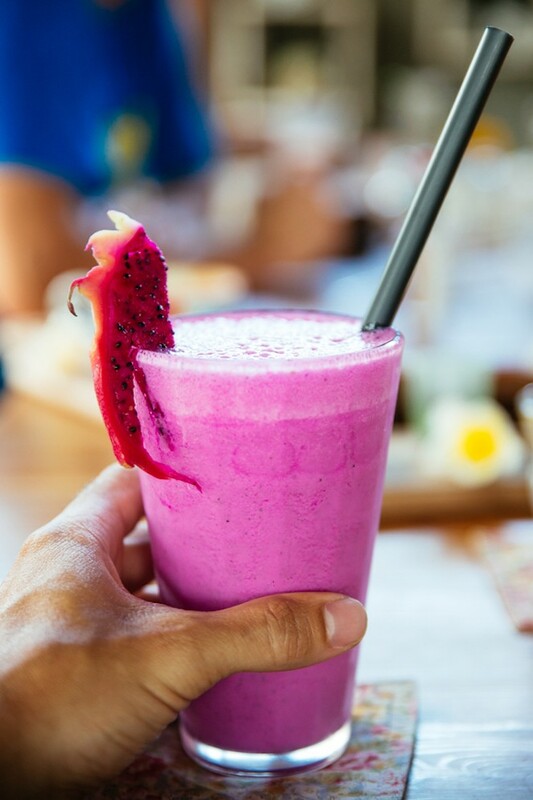 A smoothie which is rich in fiber and antioxidant. 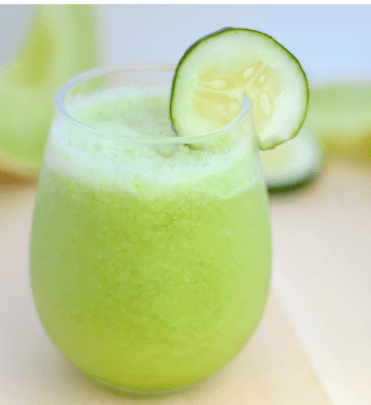 This smoothie will be containing strong antioxidant and anti-inflammatory properties due to the presence of cucumber. This is a beautiful smoothie with all bright colors. 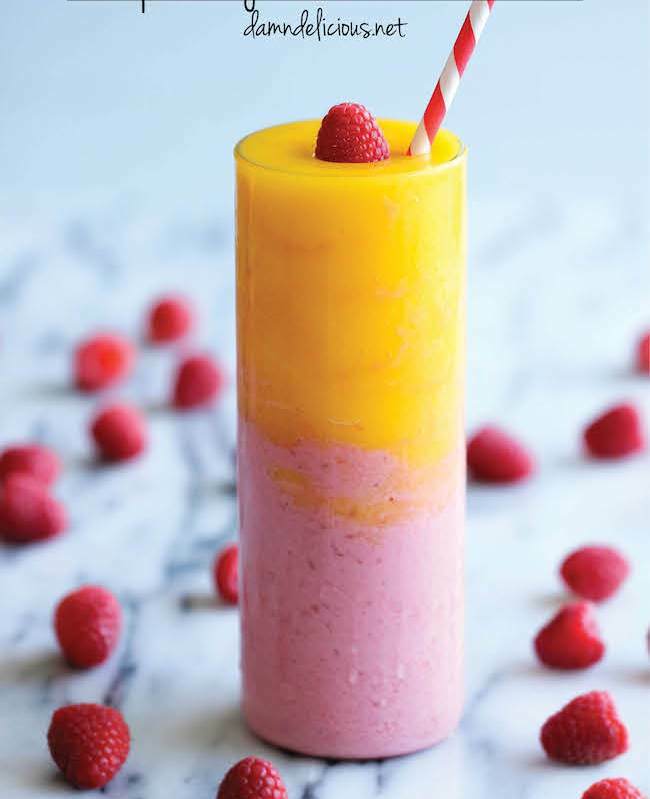 Ingredients used: Raspberries, orange juice, mango chunks, milk. This smoothie is full of fiber, vitamin c, antioxidants, and protein. Ingredients used: Blueberries, banana, yogurt, psyllium husks. 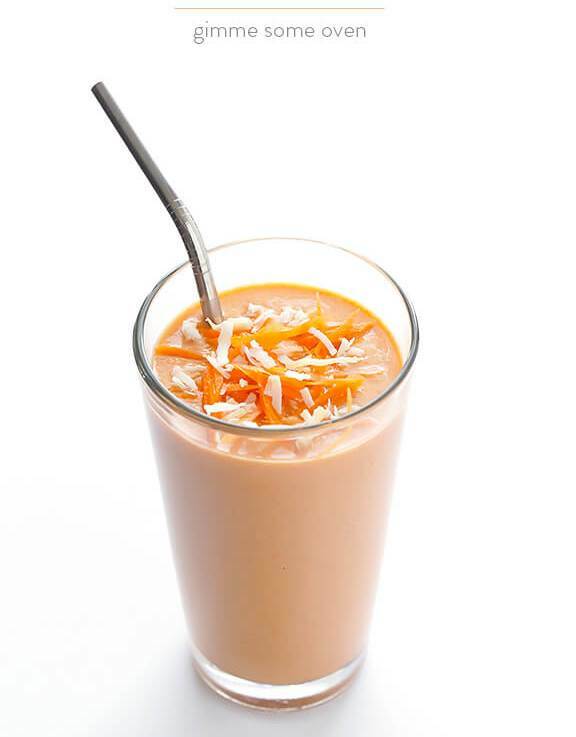 This smoothie is a creamy mixture and ginger adds a distinguishable flavor to it. Ingredients used: Cranberries, pomegranate, orange zest, banana, ginger.